Welcome to the website, forum, & Live Classes of PRA*ISE©. 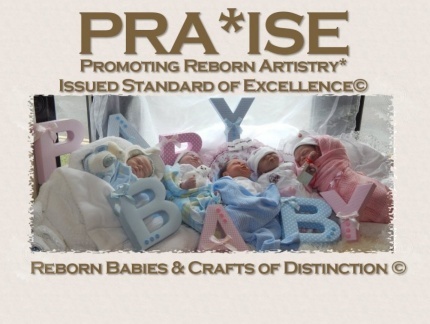 This acronym stands for 'Promoting Reborn Artistry*Issued Standard of Excellence'. 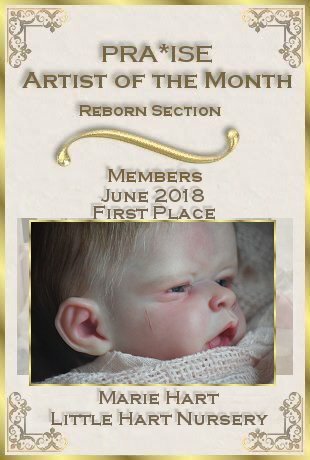 It's awarded in the field of Reborn & OOAK Arts, and if you reborn, sculpt, create one of a kind babies or fairy/fantasy folk, or make clothes & accessories for reborn babies, you can apply for a PRA*ISE Award. You will find all the information inside that you need to apply for this award. 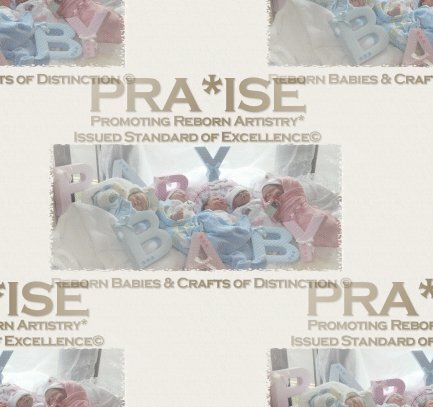 The Awards were founded in April 2007, and are the first awards to promote Reborn & Craft Artistry, and also Customer Excellence.Our Administration and Co-Ordination Team of 6 people have a long history of expertise in the area of crafts, reborning, and doll collecting. WE ARE CELEBRATING 10 YEARS OF THE PRA*ISE AWARDS IN 2017. Anyone can participate our very relaxed and friendly forum. We have introduced a £5 Annual Subscription, which should be paid before your account is activated. Applying for a PRA*ISE Award is not compulsory. You do not have to apply for a PRA*ISE Award if you don't want to. It is totally down to your choice. There is no time limit and of course, it's NOT compulsory to apply to be a member of our forum. 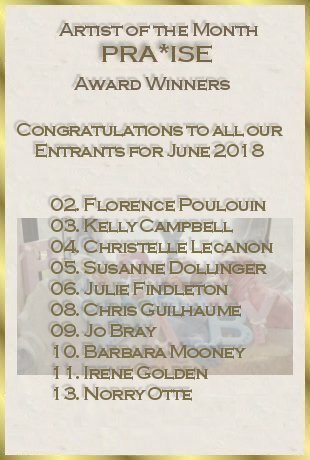 ----------------------------------------------------------------------- We are pleased to announce our latest PRA*ISE Award Winners: Here are our latest Award winners from the Reborn/Sculpting and Craft sections. Click on the above banner to see feedback and more info about our Live Classes! This year we are celebrating the 10th anniversary of the PRA*ISE awards,which were formulated from a very simple idea that all artists would want their customers to know that they had the backing and support of a wider community of artists. As we are all too well aware, there have been highs and lows over those last five years, lots of new reborn artists, wonderful new techniques and the birth of ultra-micro rooting and spectacular painted hair.It is with this in mind that we would like to announce some changes to the PRA*ISE awards and how they are presented. In 2014 we introduced a new award, an award to 'master artist' standards, this will be called PRA*ISE Artiste Elite, and it encompasses all aspects of the reborn artform. The categorisation for this award is rigid, as will the photo submission requirements. This will not be a replacement for the standard PRA*ISE award, which will still be valid, but a recognition of the outstanding work which lots of you produce. It is our intention to advertise and promote this award across the reborn world at large. As of the standard award, it is open for anybody to apply, you dont need a current award, nor to be a forum member. In relation to this, there is a brand new logo and certificate to reflect the elite status. The award is reviewed bi-annually to ensure we are living up to expectations. In view of the frequent slumps in the reborn market, we came up with the idea that it would instill more confidence in buyers if they could safely buy a quality item. Therefore we created the PRA*ISE award which carries a certificate, creed and logo. The award is based partly on testimonials from customers which are submitted by the applicant, and at least five of those customers will be contacted to verify the level of excellence and customer service, the latter being of tantamount importance. The applicant will then have to submit photographs of their work to the PRA*ISE Judging panel. The panel are made up of 12 award winners who are reborners, crafters, collectors and members of many different forums & guilds. Since the Channel 4 programme 'My Fake Baby' in 2008, interest in the art peaked, with people starting to reborn, either as a hobby, or because they saw it as a potential money tree. After the show, we all watched in disbelief as a reborn sold for over 10 thousand pounds, and several since then do achieve recordbreaking sales. However, the market is also now flooded with an inordinate amount of poor quality dolls, and bad craftsmanship, being sold by people with little or no experience of reborning - and we have ALL seen some really bad examples! 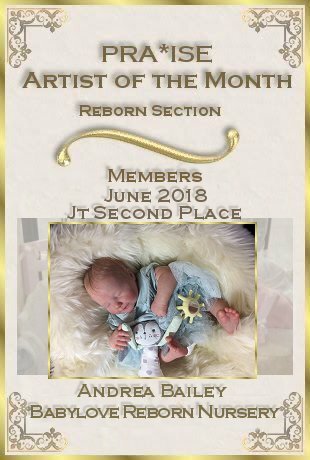 These sellers discredit the real artists, who put a HUGE amount of time, money and skill into creating beautiful babies, sparing no expense for high quality materials. When a PRA*ISE award is displayed on a listing, the buyer can be assured that they are purchasing from a seller whose reputation has been verified by past buyers, and their own peers. They are confident that the customer service and standard of reborning is among the best, and that their purchase will stand the test of time. 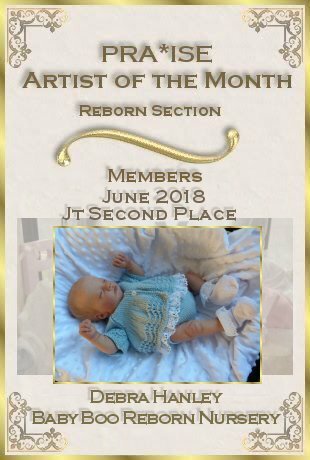 The PRA*ISE award holder will also build up a credible reputation as a reborner through displaying their logo, and we hope this will lead to repeat custom for you.Joining our friendly forum could'nt be easier and there is a cost of £5 GBP for enrolling members. We charge a fee to cover running costs. although the website is frely hosted, we have to pay for extra storage space for our images because we dont want to limit the size nor amount of images our members can display. We also have other sundry costs, such as competition prizes, raffles and postage of those items. We feel the fee is in line with other forums and that we provide good value for money. To join, simply register and you will be contacted by a staff member regarding your fees. You can pay these by using the subscribe button on this page. We also run raffles and competitions, which are funded by the fees, and also the postage costs associated therewith. We feel that the membership fee is extremely good value for money as we have many member tutorials and a wealth of information from members who are all willing to help and share with others. If you wish to join, simply complete the registration filling in all of the required fields. If you do not have a nursery name or a website, please put that you don't have one in the field. You will be contacted within 24/48 hours with information on how to pay, so please check your spam/junk folder if your waiting any longer. Please ensure you register using the same e-mail address as your Paypal account to enable us to quickly activate your membership.